(Ventyx): What will a miner’s job look like in 20-50 years? Morris Miselowski: The mining industry is on a precipice of exciting change. In 50 years we will still be mining, but a technology boom in robots, drones, driverless trucks and pilotless trains will begin to reshape the industry and create mines of the future. Looking forward technology, machinery and robots will routinely be doing the grunt and repetitious work whilst miners attend to the higher order thinking and wisdom tasks. The future mining work environment will see a skeleton on-site workforce collaborating with external specialists and supervisory staff working precisely out of remote operation centres. What skills will mining and energy workers need in 20-50 years that they don’t have today? The future of the mining industry is characterised in all aspects of its business, with an increased focus on improving its people and workforce and employing new techniques in developing insight, knowledge and working remotely. Mining and Energy workers will continue to evolve their specialist skill sets and their job and task descriptions of 2014, 2024 and 2054 will show little resemblance to its predecessor, in line with the broader industry trajectory that 60% of the tasks we’ll be doing in 2025 have not yet been thought of. There will always be a need for hands on, physical work in mining and the country the mine is located in will continue to dictate the appropriate balance and use of human capital versus technology. Increasingly mines, miners and energy workers will use technology to assist them with their roles. These will range from evolved on-site tools and equipment, fully and semi-autonomous robots, increasing use of Artificial Intelligence, 3 and 4D printers and a growing trend for technology that allows for remote management and work. Miners’ workers in the next few years will be using big data, analytics and real time information to guide and inform their work. 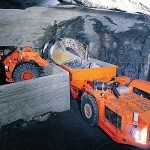 Their clothes, tools and surroundings will all contain technology, each specific to a data collection task, but collectively amassing information on the miner and the mines conditions, work completed and to be completed and the mine surroundings and adjusting work conditions and tasks accordingly. The next few decades will bring with it the necessity to simultaneously prove and improve current and prospective new energy technologies, whilst seeking out and innovating new energy sources and although many of today’s core Energy worker’s skills will continue to be useful into the next few decades, the backdrop and work environment in which they use them will change. Innovation of new energy sources and practices will bring with it a need to ensure all workers have heightened Collaborative, Communication and Creative Problem Solving skills with which to approach each new challenge, where the solutions are not obvious, rarely based on past experiences and require a united force of disparate individuals, corporations and Governments to resolve. Where will our power come from in 20-50 years? An increase in the world’s population coupled with climate change, technological innovations and higher living standards will have a significant impact on how we live our lives. As a result, there’s likely to be more changes to the way energy is sourced, supplied and used. The IEA (International Energy Agency) states that it would cost the world $44 trillion to wean itself off fossil fuels by 2050, given this and current projections that we will have sufficient oil reserves for the next 50 years and with evolving technologies allowing us to profitably mine deeper and in harsher conditions and in more remote and obscure places, the likelihood is that we will extend our reserves well beyond 50 years. Despite this, there is a strong global societal demand for us to change fuels and to work towards an increasingly distributed energy future rather than a centralised energy system that exists today. Future energy sources will include making better, cleaner use of existing non-renewable energy sources including petrol, diesel, coal, LNG and gas, whilst simultaneously evolving the use of renewables such as solar, hydrogen, thermal, tidal and wind. We will continue to innovate and seek out alternate energy sources with the likelihood that alternate energy will be found, but the reality of these is the lag in exploration, acceptance and commercialization, currently renewable energy only accounts for 2.7% of total global energy use and although this is up 8% from 10 years ago (source: BP) and will continue to rise in the decades ahead, we still have a very long way to go. Where and what will we be mining in 20-50 years? An increase in population and wealth will generate a higher dependency on resources meaning many of today’s existing mines will continue to produce into the next few decades allowing mines to prosper. With an increase in the convergence of biotech, nanotech and IT we will see previously abandoned mines come back on stream and making once inaccessible and unprofitable mines profitable. Technology will continue to evolve exponentially in the mining and energy sectors and will bring with it the ability to extract more from less and to profitably go deeper, wetter and further than we have ever been able to before. These new technologies and practices they will bring will take what we know and extend on it, but will also offer us new and presently unheard of innovation which may include what may now seem incredulous practices like using various bacteria’s and mechanical microbots to get into places and reduce cost of recovery and also to transmute material concentrating resource reserves into more economical extractions. There is also a lot of hype around Asteroid mining as a possible future exploration zone, but given the cost of returning the materials to earth I believe this will be some way off before becoming a viable proposition. It is more probable in the medium term that any mining done in space, will be used in space for space station, tourism and other construction needs. How will technology change the way we interact with each other? By 2050 we will have added 3 billion people to our planet, each living longer, consuming more and looking for more. This growing middle class appetite for goods and services will drive a continued demand for resources and ensure the need for mining for at least the next fifty years. This article originally appeared on Ventyx.